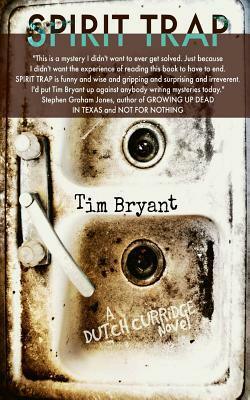 I recently interviewed Tim Bryant for the Austin Mystery Writers website. The following is that interview. Enjoy! I recently met author Tim Bryant at Book People’s Lonestar Mystery Discussion. He’s such an interesting person, I wanted to know more about him, his creative process, and his path to writing. Thanks for letting me interview you, Tim! AMW – When did you know that you wanted to be a writer? TB – I’m not entirely sure I ever wanted to be a writer. I just was one. My grandmother probably knew I was a writer when I was ten years old. It took me at least thirty more years to realize she was onto something. I dedicated my first novel to her. I was happy that she was able to see it before she died. AMW – What was the first creation of yours that got published? TB – Well, I had had music published because I came to fiction writing after many years as a musician. The first piece of fiction I got published was my first Dutch Curridge short story. It’s called “Bob Wills Is Still The King,” and it was published in REAL Regarding Arts & Letters Literary Magazine. I had written several other Dutch short stories and a lot of non-Dutch stories too, of course, but that was the one that pretty much started everything. AMW – How long did it take for you to write your first novel? TB – The first novel was DUTCH CURRIDGE. It took close to a year from start to finish, although the real meat of the writing probably took four months. My original idea with it was that I would take the collection of Dutch Curridge short stories— I think there were six or seven of them at that point— and weave them together into novel form. It was a fine idea in theory, it just didn’t work. I finally ended up setting all of those stories aside and writing the novel from scratch. Some of the earlier material worked its way into it, but only here and there. The story about the migrating squirrels and that parts about Dutch’s marriage and divorce, to name two examples. The bulk of the story was new material and was much better for it. AMW – Did anyone help you? Did you belong to a critique group? TB – Unfortunately, I didn’t have any kind of group during the writing of the first novel. I wish I had. That did come along almost immediately after, and a couple of the people are still with me today. My friend Brett Gaffney has been a huge help with workshopping and even helped co-write the book THOSE WHO KNOW US BEST DON’T KNOW US AT ALL. It’s a book of free verse, but it also has a dark, mysterious edge to it and actually shares a character with the Dutch books. Brett’s my first go-to with things, and I do think writers need that. My good friend Jen Moody edited “Doll’s Eyes,” which was part of the Subterranean Press anthology IMPOSSIBLE MONSTERS. She did such an amazing job on that, I asked her to edit the newest Dutch novel, SPIRIT TRAP. She’s top shelf when it comes to editing, and she’s a great fiction writer too. They’re both invaluable secret weapons to have as a writer. AMW– Do you currently belong to a writing group? TB – Yes. In addition to Brett and Jen, I have a local writing group that meets regularly. They’re librarians and teachers in addition to being writers, and they’re great motivators, supportive friends, and I owe them a lot as well. I also hang out with Joe Lansdale from time to time, when he’s in town. I’ve certainly learned a lot from Joe. Writing is such a solitary endeavor, I find I really need those connections, just to keep me focused…and sane. AMW – Your recent book, Spirit Trap, is the third book in the Dutch Curridge series. Tell us a little something about Dutch. TB – Dutch is a private eye in 1950s Fort Worth who worked with the Tarrant County Sheriff’s Department until he realized he was too bad to be a good cop and too good to be a bad one. He identifies strongly with the down-and-out citizens of Fort Worth. He sees himself as one of them, where maybe the other guys on the force didn’t. Dutch has always been an underdog. He’s fought for everything he has (which isn’t much), and he’s ready to fight for every other underdog he meets up with. On a personal level, he likes Jack Daniels and Dr Pepper, western swing and jazz music and a young lady who writes for the local newspaper. He has a bad ear, which is a leftover from a childhood illness, and a good friend named Slant Face, who hails from Manchester, England. AMW – The series is set in Fort Worth in 1955. Why Fort Worth and why 1955? TB – Having a background in music, I wanted to extend some of that to the Dutch stories, and Fort Worth just has an extremely rich musical history. Especially, in that era of the 1940s and ‘50s. WBAP radio was broadcasting all over this part of the country. Bob Wills and Milton Brown were breaking down musical and racial barriers. Jazz clubs were hot, especially in the African-American neighborhoods. Fort Worth was a wild and colorful place, with Hell’s Half Acre downtown and Jacksboro Highway to the north. Dutch belonged in a place like that. He was right at home. AMW – I’ve been reading the book and I can honestly say it’s what I call a “total immersion experience”. I can hear the music, the voices, and noises of the time. Did you have to do a lot of research to capture the era? TB – Yes. I’ve done tons of research, and that research continues. I enjoy it so much, I hardly think of it as being research. I love reading about the history, personal accounts, pouring over maps, watching films and listening to recordings from that era and area. I’ve joked that I probably know more about Fort Worth than most people who live there, but it’s true. I’ve only visited a handful of times, believe it or not, but I’d love to spend more time there. But yes, I did work to get the full effect of the time and place. The feel and the sounds. Fort Worth is much like a character in the books, so it was essential that I get it right. AMW– Do you write other kinds of stories besides mysteries? TB – Absolutely. In fact, I’m not sure I really write standard mysteries at all. The second book in the Dutch series, SOUTHERN SELECT, is probably the most straight-forward mystery I’ve written, and, although it’s quite important in the series, it seems to get overlooked a little. I tend to think of mystery in the larger sense. Not so much cases of missing heirlooms and dead bodies, even if those things do show up from time to time. To me, the best mysteries are the ones that are never solved. They get people thinking and talking. They’re the ones that draw them in, keep them up at night. So I like stories that ask questions more than I like stories that answer them. I think most of my stories ask the questions that intrigue me most. AMW– You mentioned you’re a musician. What instrument and what kind of music do you play? Is your music available online? TB – I’ve played music for most of my life too. I’m primarily a piano player, although I can fake a few other things enough to fool a few people. I play totally by ear, by instinct. I’ve been lucky enough to play music all over New Orleans, around Texas, on the same stage and in studios with some of my heroes. My music is available on iTunes, most places you find music. It’s under either my name or 2Take Tim, which is a nickname I got down in New Orleans, or Ramshackle Day Parade, a cool international band that I put together. That band featured Steve Wickham, who plays with The Waterboys and Tatanka Ohitika— Strong Buffalo— a Dakota-Sioux poet. 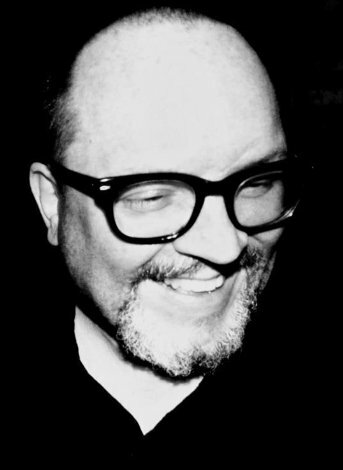 Almost all of my music is available at TimBryantsUprightPiano.com. AMW – What are the next projects you’re looking at? Another Curridge book? Something that’s been on the “back burner” you’ve been dying to get to? TB – SPIRIT TRAP was the last major thing I wrote. Right before that, I wrote a non-Dutch novel called CONSTELLATIONS. A publisher in New York City is looking at that one. I have two other non-Dutch novels that I’m working on. I tend to alternate between the Dutch books and non-Dutch books, so I’ll most likely finish at least one of them before I return to Dutch. One is indeed that big one that’s been simmering on the back burner. I think it might be time to bring it forward now. It’s set in the Philippines during World War II, and I’ve been researching that one for a good while now. I was going to say it’s one of those mysteries that’s not really a mystery. I think it would be closer to say it’s a non-mystery that really is one. Everything about life is a mystery, right? I’ll return to Dutch though. He’s a friend too at this point. He always comes back around, and I’m always happy to see him. There should be at least two more Dutch novels. I think I’ll be back to him in 2015. AMW – Thank you, Tim and good luck with the new book! Posted in Interview by VP with no comments yet.